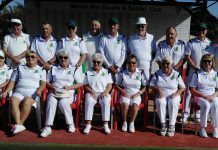 San Luis Bowls Club Report 08.12.17. Another cold, but dry and bright, week; so fortunately no more re-arranged matches to worry about. Unlike worrying about the complete mix of “great” and oops!! results. 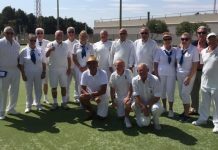 Admittedly there has been a lot of bowling this week for some people and we still have the next round of the Premier 20 K/O competition, home and away, v Javea Green on Sunday 10th. Good luck to all our players. Monday 4th: South Alicante Bowls: SL Klingons home v SM Meteors; a great result 11-3, shots 113-81. 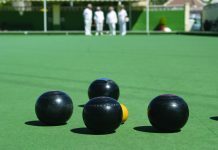 Winners: Pat Bird, Ray Pollock, Graham Bird 20-10, Margaret Morrison, Sabrina & Russell Marks 16-12, Lynne Morris, Ray Clarke, Tom Hill 27-13, Kath Reid, Neil Morrison, Ian Kenyon 20-13, Sheila Cammack, Bob White, Giuseppe Galelli 17-17. SL Trekkers; a nightmare result away v EI Neptunes 2-12, shots 77-133. Winners: Shirley Verity, Jo & Jules Pering 20-18. SL Vulcans, BYE. SL Romulans, a tough game home v LS Pioneers 2-12, shots 82-108. Winners: Pat Barnes, Ralph Jones, Harry Epsom 15-13. 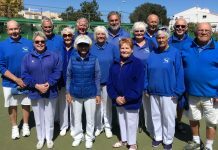 Wednesday 6th Winter League a hard fought home match, as expected, against top of the league Javea Green, 8-4, 86shots-79. 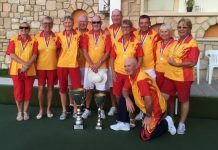 Winners: Shirley Verity, Ray Clarke, Jules Pering, Russell Marks 16-13, Irene Everett, Jo Pering, Peter McEneany, Roy Cordell 20-11, Lynne Morris, June Jones, Tom Hill, Keith Jones 23-10. 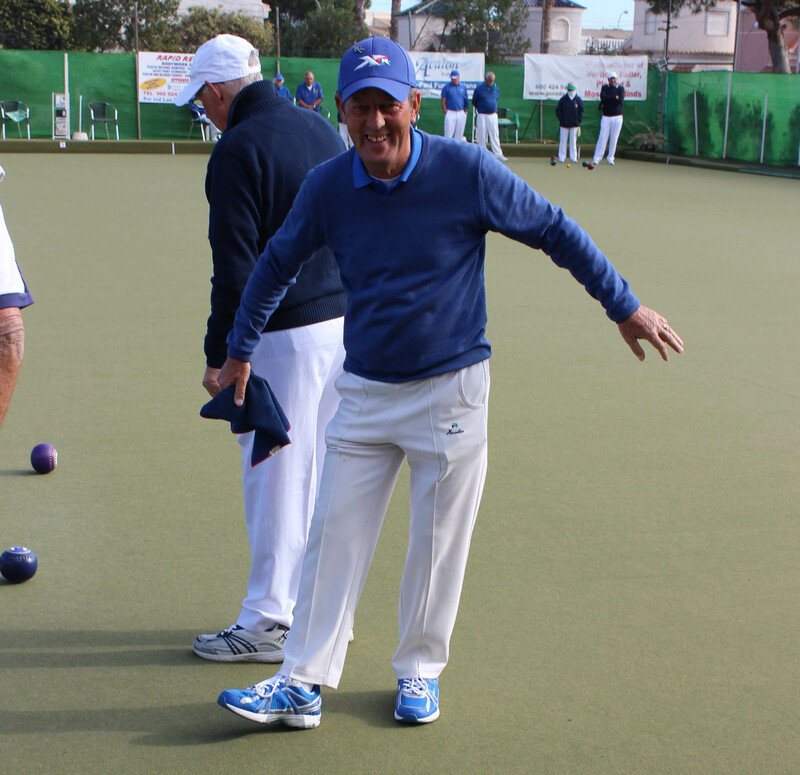 Our Berleen team: Sheila Cammack, Pam Lockett, Mike Regan, Giuseppe Galelli also had a good win, 22-14. 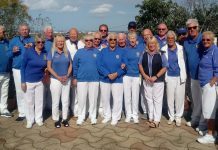 Thursday 7th re-arranged match away v Emerald Isle, no rain this time but a total washout result, 2-10, 57pts-103. Winners: Lynne Morris, June Jones, Tom Hill, Keith Jones 18-11. 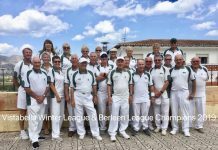 Friday 8th December Southern League: SL Lions, away v VB Lanzadores, a frustrating result 4-10, shots 103-114. Winners: Bob White, Ray Clarke, Tom Hill 25-16, Pam Lockett, June & Keith Jones 19-9. SL Tigers BYE. 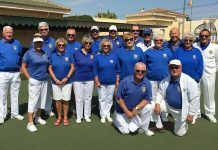 SL Leopards; another hard fought match, away v La Siesta Golds; 3-11, but close on shots 89-99. Winners: Derek Barker, Chris Jackson, Drew Russell 20-16, Ray Watmough, Chris Brooks, Dave Steadman 17-17. 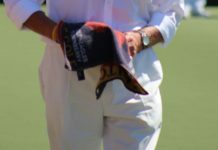 SL Pumas home v La Manga Crusaders; a great result 11-3, 166 shots-62. 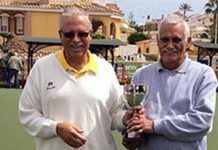 Winners: Tony Davies, Terry Baylis, Ken Dullaway 16-16, Chris Phillips, Geoff Francis, Albert Jackson 42-10, Pat Baylis, Mary Fromson, Phil Hasler 32-8, Pat Barnes, Ralph Jones, Harry Epsom 31-6, Anne Jackson, Danny McErlean, Malcolm Ayton 34-6. 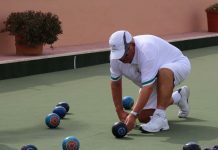 Club information: www.sanluisbowls.byethost7.com or contact June Jones, Club Captain: 691903773.